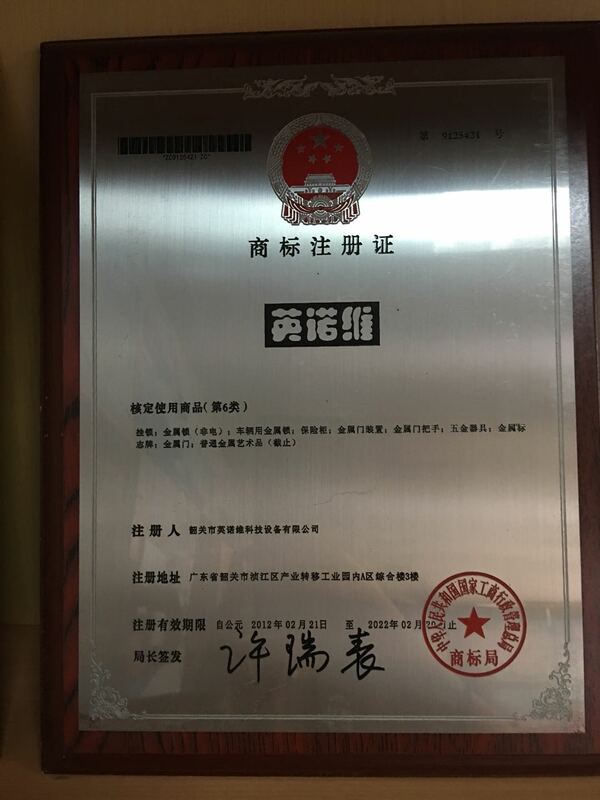 Shaoguan Innovate Technology Equipment Co., Ltd.(INV) is a high-tech company that centered on design research and product development, and get production, sales, training, service together. INV is located in the section A,Industry Transfer Area Zhenjiang District, Shaoguan city, cover an area of 4000 m2, have hardware department, composing department, storehouse and office. Since founded in 2007, INV is taking the high starting point and high-concept of stractegic, , and committed to smart chip applications and management software product development and production. 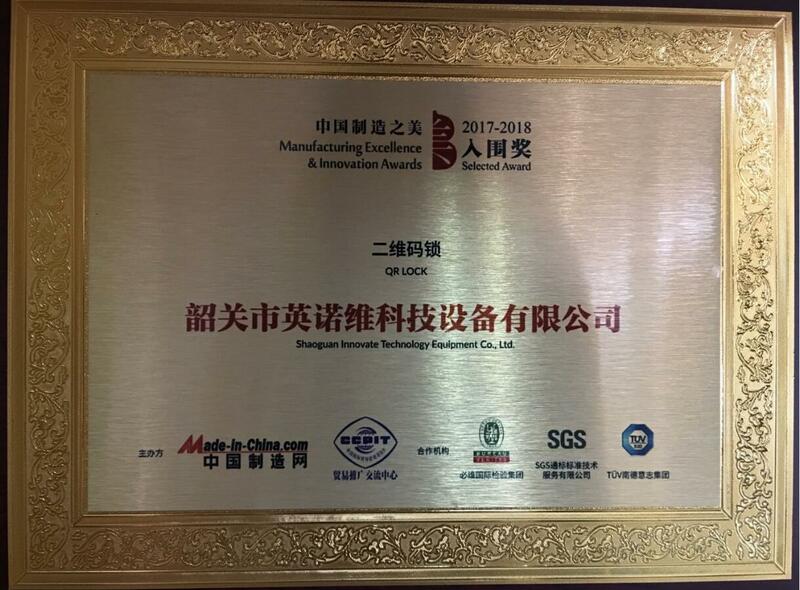 With strong technical advantage,INV now is the one of the leader in smart lock, and honored the top ten brand of lock in China. So far, INV own more than 20 domestic patents, covered invention, utility model patent and design patent, there is also an international patents (PCT). The company is wholly owner of tht INV Brand.INV has strong technical force and strong technology development capability, and a group of senior professionals engaged in software development and electronic product development. 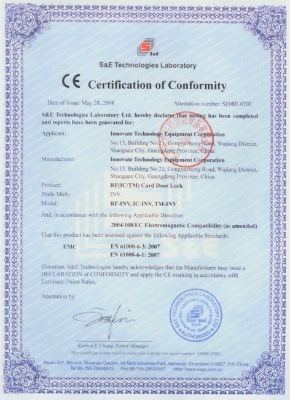 INV strictly enforce Q/WBK02-2003 corporate standards for production, that make our products were in the leading level. 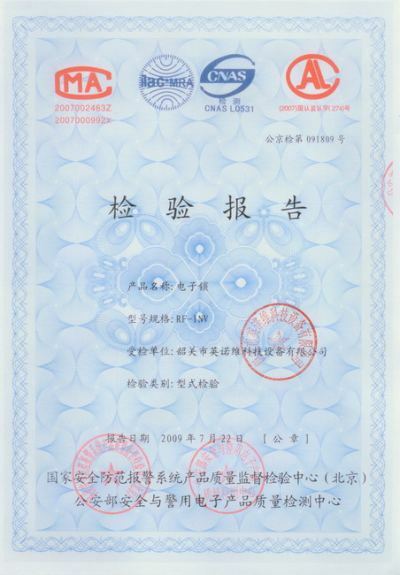 Our products through the testing of National Testing Center For Quanlity of Security & Safety Alarm System Products, and obtain the production of qualified registered ratifications, CE, Swiss SGS certification. INV not only pay attention to improve the products quality, but also focus on product innovation, and constantly developing new products to meet market needs. So far the company has developed a high stability, strong viability products, such as QR code, fingerprint, RF card lock series. INV is the pioneer of the QR code intelligent lock cause we are the first one to use QR code in lock. The main products are QR code lock, RF card smart lock, fingerprint lock, sauna cabinet locks, energy saving switch, touch screen switches and so on, that all were widely used in hotels, guest houses, villas, offices, senior apartments, home and other places. 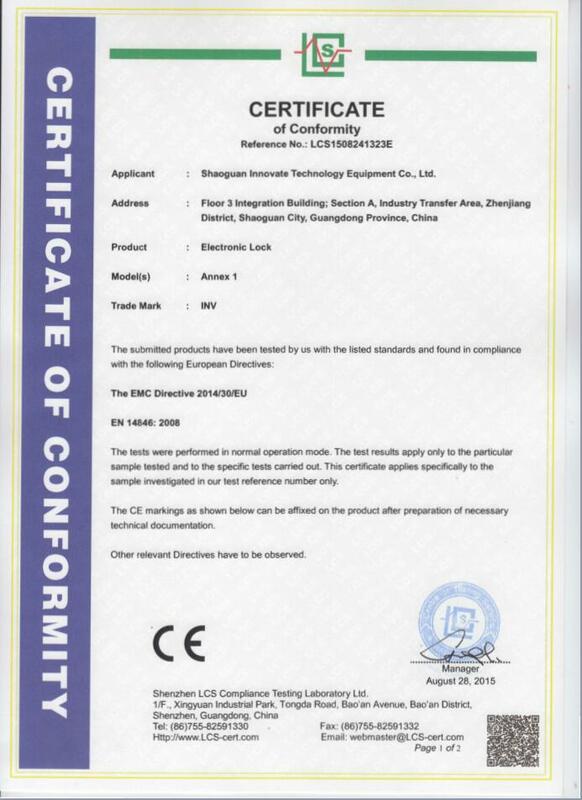 With high quality products and perfect service, INV has won good market awareness, products are sold nationwide and exported to many countries and regions,such as France, Turkey, India, Iran, Thailand, Saudi Arabia, Hong Kong and Taiwan. For good quality of products, innovation and prefect service, INV own many praises and trust of customer. INV is looking forward to establishing long-term business relationship with you in the near future. Floor 3 integration building,Section A,Industry Transfer Area,Zhenjiang Distric,Shaoguan City,Guangdong Province,China.